A lawyer for former DNC IT staffer Imran Awan is scrambling to block evidence found on a hidden laptop which may contain proof of a massive spy ring operating at the highest levels of Congress, in what may be the largest breach of National Security in U.S. history. Awan, a Pakistani national, worked for dozens of Democratic members of Congress along with his wife, two brothers and a friend. 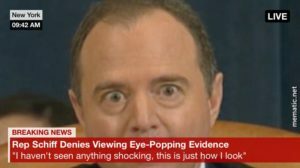 Following the publication of DNC emails by WikiLeaks in the lead-up to the 2016 election, Congressional investigators discovered that the Awans had a secret server being housed by the House Democratic Caucus backed up to an offsite Dropbox account. According to a briefing, "all five of the shared employees system administrators collectively logged onto the [House Democratic] Caucus system 5,735 times, or an average of 27 times per day,” despite only one of them being authorized to do so. 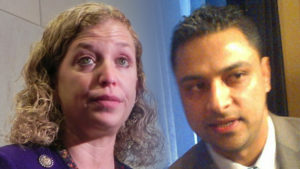 The Awans were banned from the House IT network on February 2, 2017 after being named in a criminal investigation - however they continued to work in the building for Congresswoman Debbie Wasserman Schultz until Imran Awan's arrest at Dulles Airport trying to flee the country in late July. Awan and his wife, Hina Alvi, were charged with conspiracy and bank fraud in relation to a real estate transaction. The laptop in question was tucked away in a tiny room formerly used as a phone booth on the second floor of the Rayburn House Office Building late one night in March, only to be found by Capitol Police just after midnight on April 6, 2017 along with notebooks marked 'attorney client privilege,' letters addressed to the US Attorney of DC regarding Debbie Wasserman Schultz, and several forms of identification. Based on the contents of the backpack, some believe Awan wanted the laptop to be found. Luke Rosiak of the Daily Caller, who has been tracking the Awan case, reports that Awan's attorney Chris Gowen - a former aide to Hillary Clinton, is seeking to block the laptop evidence by arguing the 'attorney client privilege' note attached to the notebook found with the laptop covers the contents of the hard drive, according to court papers filed Tuesday. As Rosiak points out, it is unclear how the handwritten note saying "attorney client privilege" could be construed to cover a hard drive, rather than the pages of [the] notebook it was contained on. Andrew McCarthy, a former chief assistant U.S. attorney who has followed the case, said “The A/C (attorney-client) privilege only applies to communications between the client and lawyer that are for the purpose of seeking legal advice and that are intended by both parties to be kept confidential… Moreover, asserting that something is A/C protected does not make it so. You still have to show that the material in question constitutes communications strictly between the lawyer and client that were for the purpose of seeking legal advice. In May of 2016, Debbie Wasserman Schulz - an employer and personal friend of Awan - spent several minutes browbeating the Chief of DC Capitol Police at a budget meeting, claiming the laptop should be given back since it was hers and threatening 'consequences' if it wasn't returned. The Awan brothers were managing computers for members of the House Permanent Select Committee on Intelligence - a group with top secret clearance which is looking into Russian election interference right now. The brothers were "shared employees," hired by multiple Democrats for IT work whenever it was needed - so they floated all over the place doing all sorts of work on House members computers. Democrats Juaquin Castro, Cedric Richmond, Andre Carson, Jackie Speier, Tammy Duckworth, and Louis Frankel all employed the Awans. Judge Andrew Napolitano appeared on Fox Business Network in late July where he dropped a bombshell: not only did the Awans had access to the emails of every member of Congress, Imran Awan reportedly sold information to still unknown parties, which the FBI is currently investigating. Napolitano: He was arrested for some financial crime - that's the tip of the iceberg. The real allegation against him is that he had access to the emails of every member of congress and he sold what he found in there. What did he sell, and to whom did he sell it? That's what the FBI wants to know. This may be a very, very serious national security situation. Varney: Wait a second, he was the IT worker along with his two Pakistani brothers, for DWS, and other Democrats in the House - and the theory is that he got access to all of their secrets or whatever, and sold some? Napolitano: Yes, and this was at the time that Congresswoman Schultz was also the chair of the Democratic National Committee. 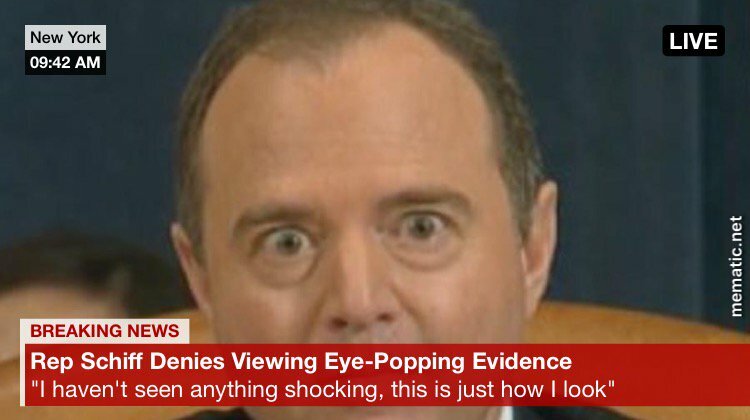 So at this point I don't believe they know what he sold, and to whom he sold it - but they do know what he had access to, which is virtually everything in the House of representatives, which would include classified material in the House intelligence committee. In September, it was reported that Hina Alvi - Imran Awan's wife, had struck a deal with federal prosecutors to return to the U.S. from Pakistan to face conspiracy and bank fraud charges. Alvi and her children fled to the safety of Pakistan in early 2017, so her voluntary return - which was structured with an arrest to be made "not in front of her children" is significant. Upon her return to the United States, Hina was arraigned on four felony counts of bank fraud and handed over her U.S. passport to prosecutors. "I would just predict that this is going to be a very significant story and people should fasten their seat belts on this one." Despite the volumes of evidence stacking up against the former DNC IT staffers, Debbie Wasserman Schultz claims the entire investigation of the Awans is nothing more than Islamophobia.